KB Home / SimpleStep® / How do I create a task? 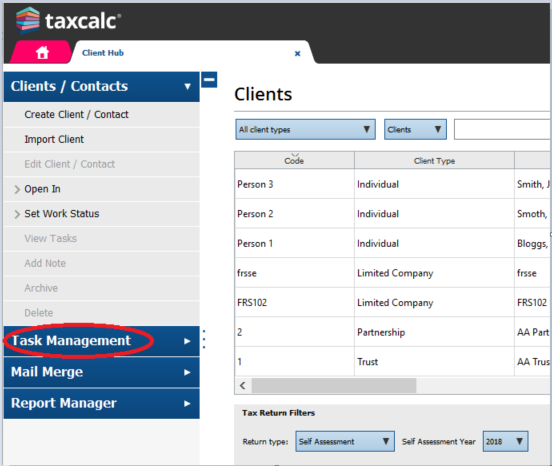 In TaxCalc, you can create tasks that can be allocated to both clients and staff. You can set reminders to alert you of a task and also set them to recur. Once set up, you can view tasks collectively and filter them according to type, assignee, creation date and a number of other criteria. Select Task Management from the left-hand menu. Select Create New Task from the left-hand menu. 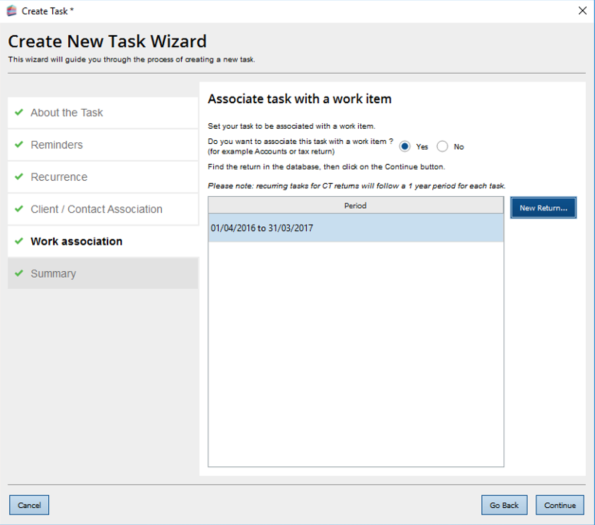 The Create New Task Wizard will open. Select the Task type from the drop-down menu. NOTE: Don't worry about making mistakes. If you need to change this information during the set-up process, click on Go Back to return to this step. You can still make changes once the task is created – as long as you have permission. You can also add an assignee, a description of the task and a deadline. Once you’ve completed these fields to your satisfaction, click on Continue. Set reminder for due/start date will be auto-ticked by default. Set the reminder period using the options on the screen. Set your repeatable attributes for recurring tasks on this screen. 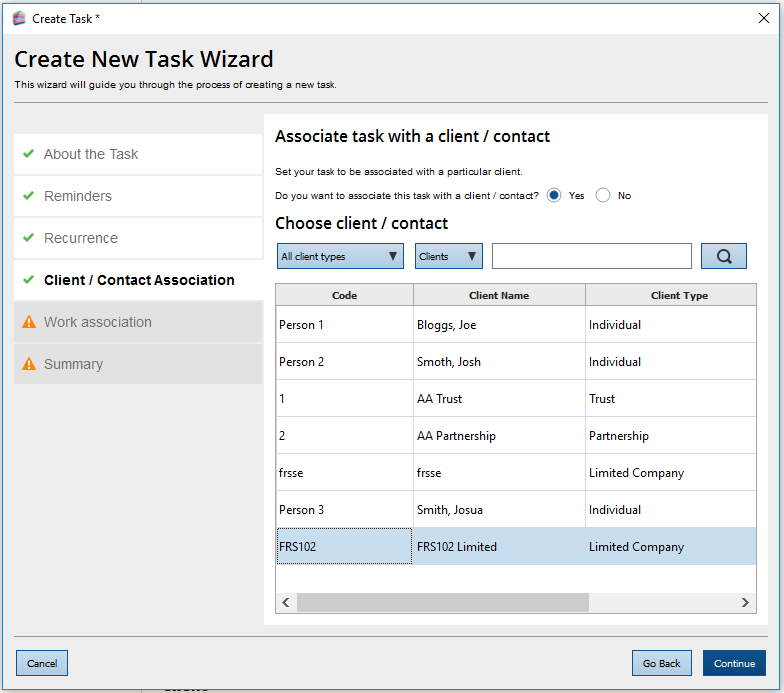 Select a client/contact to be associated with a particular task. Select a work item (return/accounting period) that you would like to associate with a task. Check the task details in the summary. If anything is incorrect, click on Go Back to amend the relevant step. 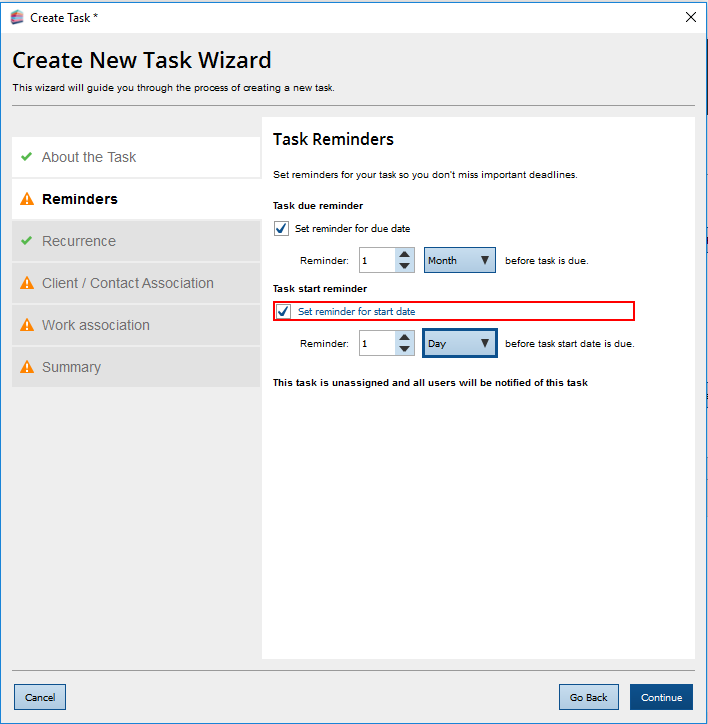 When all the details are correct, click on Finish to close the Create New Task Wizard to create your task. 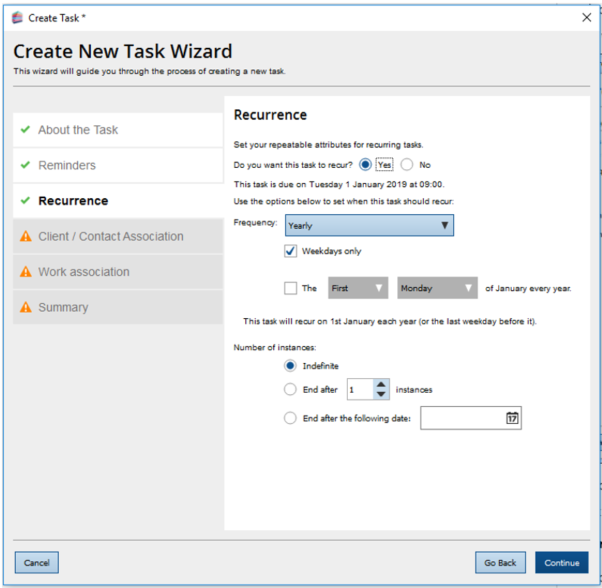 In Client Hub, select Task Management from the left-hand menu. 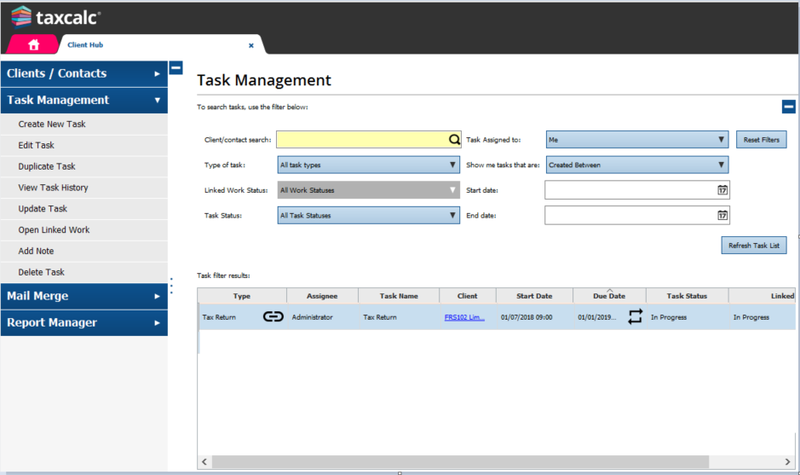 The Task Management screen will appear. Check that the new task is listed. 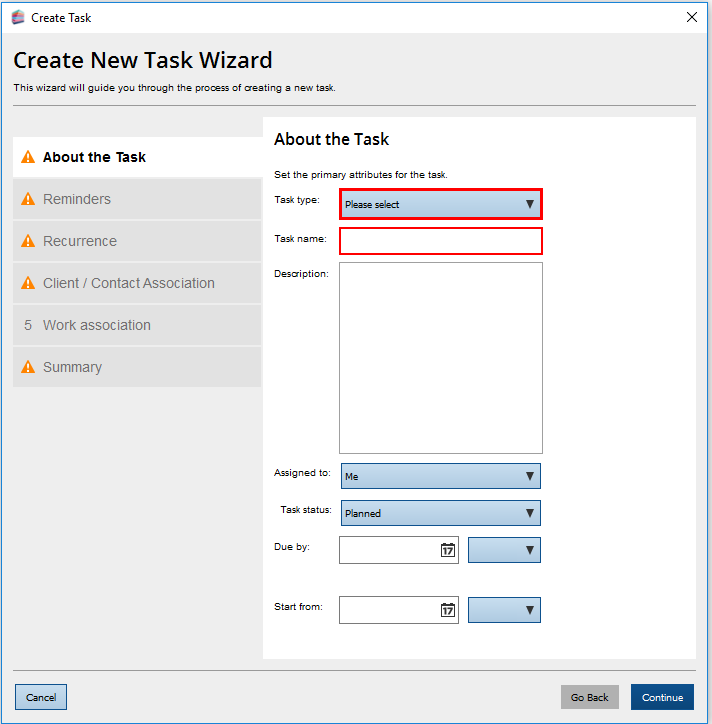 If the new task isn't listed, select All task types from the Type of task drop-down menu and Any User from the Task assigned to drop-down menu. Click on Refresh Task List. If the task still doesn't appear, it's likely that you don't have permission to see any user’s tasks in your assigned security profile. The icon in the Due Date column implies that the task is set to recur. Open Linked Work option on the left menu will open associated period linked to the task within Accounts Production, Tax Production and VAT. 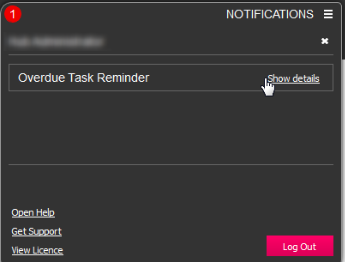 If a task is set with a reminder, the Notification menu will turn red at the set time and will only be displayed to the assignee. 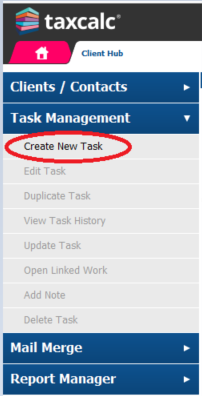 The number displayed in the menu is the number of the tasks assigned to the current user that have reached their reminder date and time. 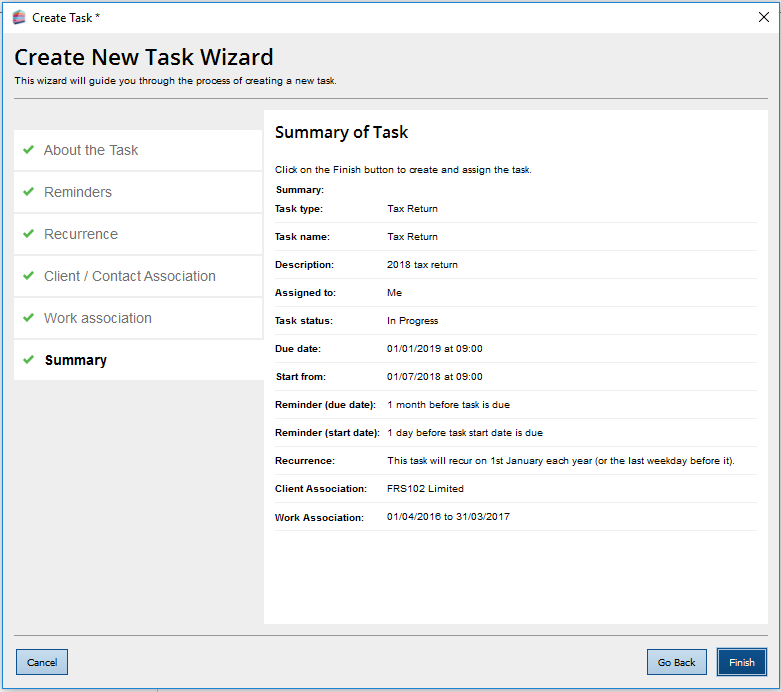 Click on Show details to display each task in turn. 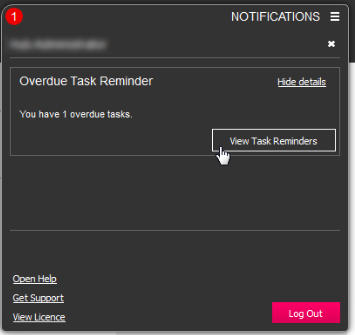 Click on View Task Reminders to see which tasks are due. The Task Reminder window will open. Select the task and click on relevant option on the right-hand side to edit/update or to view history of the task. for example, to re-set the reminder time. Click on the cross under Dismiss to remove the reminder entirely. The task will remain.